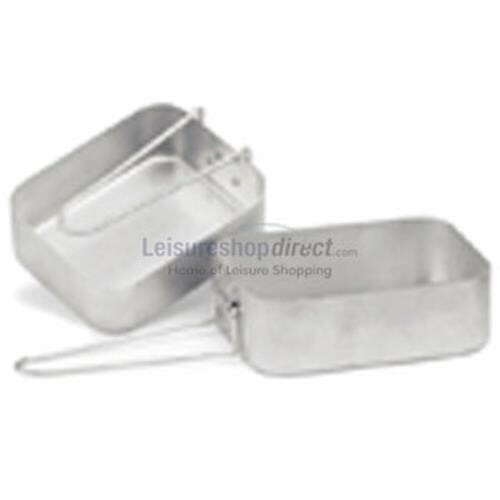 Aluminium Mess Tins. Size: L 16.5 x W 13 x H 6 cm. & L 18.5 x W 14 x H 6 cm. Lightweight Aluminium construction. Folding handles for easy storage.